Hiring a motorhome in New Zealand is without a doubt the best way to discover this magnificent country!! It allows you to save money on accommodation and offers you great freedom when it comes to seeing the lesser known areas of the islands. But hiring a motorhome in New Zealand isn’t always that easy, especially when it comes to choosing what kind of model you want, what company is the best and what kind of insurance you’re going to take. Renting a motorhome in New Zealand can be quite expensive, especially during school holidays (especially during Christmas holidays). 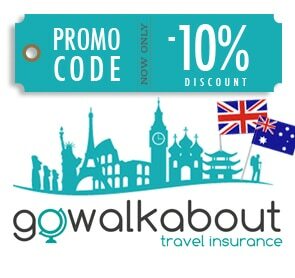 So if you plan to travel between December and January, raise your budget and make your booking as soon as possible! Motorhome prices vary according to the availability and the season. Booking a motorhome three months in advance will be much cheaper than booking it a week before you’re leaving, especially in peak season! By the way, the daily rates will also be lower if you rent a motorhome for a long period of time. Newer and / or better equipped vehicles will obviously be more expensive. To give you an idea, in peak season a 4-seater motorhome can cost about 350 NZD per day (a little more than 200 €). Conversely, a similar vehicle during the low season (in June, for example) will cost you about 90 NZD per day (about 54 €). – Pick up your motorhome in either Auckland or Christchurch. 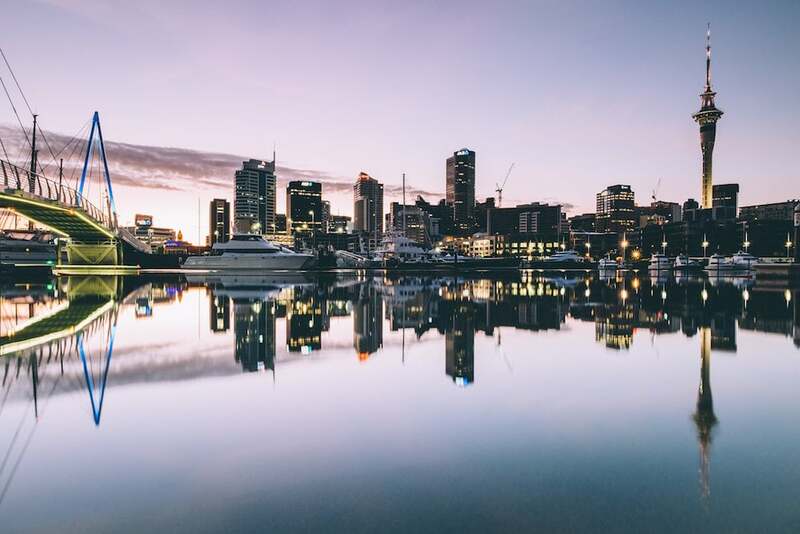 – Prices in Christchurch are often lower than in Auckland. As more tourists arrive in Auckland and leave from Christchurch, rental companies encourage people to take their vehicles back to Auckland. One of the best ways to compare motorhomes in New Zealand is using the website Motorhome Republic. Their search engine compares different models and prices simultaneously to give you the best possible offer, which you can book directly online (to no additional costs). You also find special deals or sales. Where to rent a motorhome in New Zealand? 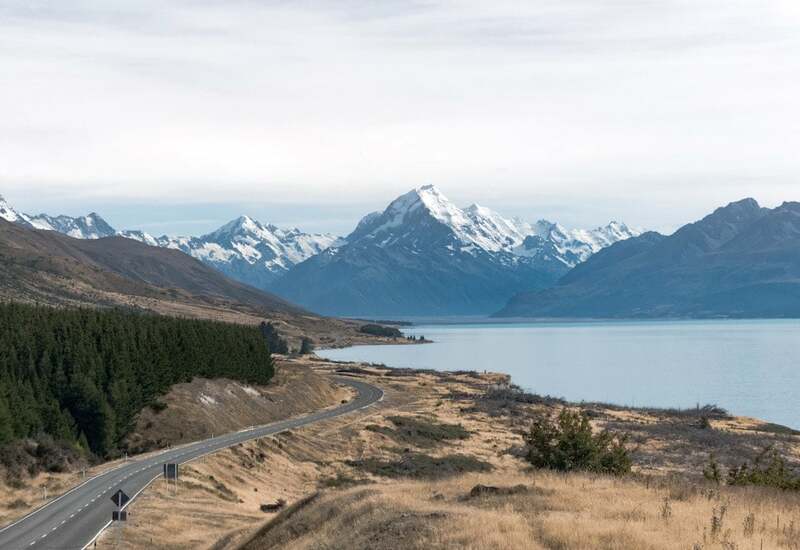 If you are planning a road trip in New Zealand, it is important to plan your itinerary according to the seasons, points of interest, travel period etc. The most popular route is to go from Auckland to Christchurch, crossing the island from North to South. However, it’s often cheaper to rent a motorhome in Christchurch and return it in Auckland. Some travellers visit only one of the islands (either North or South) and return their vehicle in the same city they got it from. To visit the North Island, it is also possible to cross the entire North Island from Auckland to Wellington. There are fewer rental companies and prices are higher in Wellington. To visit the South Island, you can do a Christchurch loop from north to south (or vice versa). Other options are Nelson (very few rental companies), Dunedin (very few), and Queenstown (more). As a reminder, we use the term “motorhome” for self-sufficient vehicles, equipped with a shower and toilet cabin. This play an important role because camping rules are very strict in New Zealand. Some camping sites (free or paid) only accept self-contained vehicles. If you on a motorhome, you have more choices on where to spend your nights. 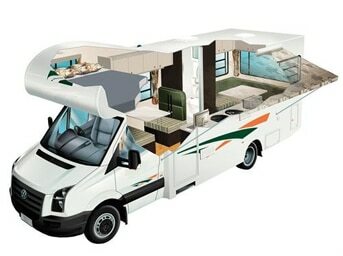 Then you choose between different sizes of motorhomes, from 2-seater to 6-seater models. You will definitely find one that meets your needs. For those traveling with children, make sure the features of the vehicle are suitable for your children’s age. For instance, some vehicles don’t have a car seat anchor point. 2-seater motorhomes often come from the same manufacturer (Ford Transit, Mercedes Sprinter, Volkswagen Crafter), which are all pretty similar. They are equipped with a double bed in the back, which is convertible into a bench with dining table. They have a small fitted kitchenette in the front with the shower cabin just behind the driver’s seat. Due to its size, this model is easy to drive and doesn’t need much petrol. It is obviously suitable for singles or couples. As 3-seaters are not any larger than 2-seater motorhomes (usually the same size), these vehicles can only accommodate a couple and a child. By the way, 3-seater motorhomes are not very common. They come with a large double bed in the front of the vehicle, which is convertible into a bench with a table. There’s a second double bed above the front seats. The kitchen area as well as the shower and toilet cabin is at the rear of the vehicle. Most of these models are Volkswagen or Mercedes (ranging from 10 to 2 years old). These models are hard to find. Some companies offer vehicles called “4 + 1” to accommodate 4 adults and a child. These are the largest models available in New Zealand. With 3 large beds, there is enough space for a family or a group of friends. It is also a good option for 4 people that need a larger living space. In this case, you can leave one of the converted beds set up as a table, so you don’t have to undo the bed every morning. 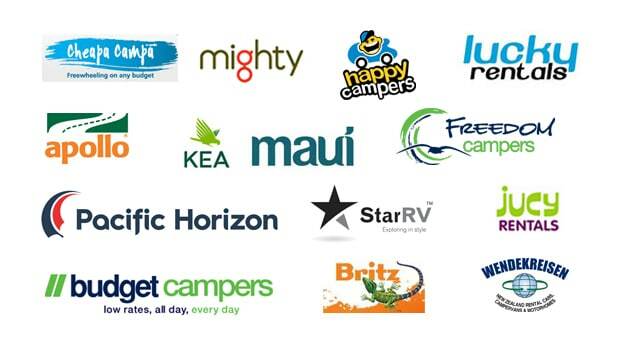 There are a number of motorhome rental companies in New Zealand. Most of them are located in Auckland and Christchurch. Here are the main rental companies, divided by price range. When renting a motorhome in New Zealand, standard insurance is always included in the rental price. This insurance only covers personal injury inflicted on third parties. It does not cover any material damage of the rental vehicle or other vehicles. For this reason, the rental agent will ask you to leave a deposit when picking up the motorhome. They usually charge you by credit card, and the amount depends on the company and type of vehicle. 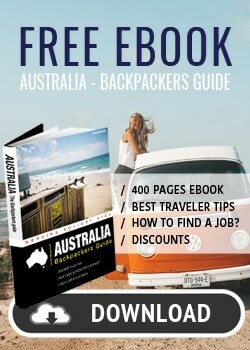 For a campervan, deposits are usually between 2,500 and 3,000 NZD, for a motorhome, between 5,000 and 7,500 NZD. If you don’t want to risk anything, take out comprehensive insurance. Your deposit will be 0 to 250 NZD. It is also possible to purchase private insurance or use your credit card insurance (discuss this with your bank beforehand). When renting a motorhome, it is very important to check the condition and the equipment of the vehicle. If it’s your first time, you probably get quickly overwhelmed by all of the functions and think to yourself “Ok, we’ll have a look at this later”. However, it is always easier to find out about any issues straight away. – First make sure that you got the model you booked. They sometimes offer you an alternative if the vehicle you booked is not available. In this case you should get an upgrade or a discount. – Thoroughly inspect the outside of the vehicle and let the rental agent know of even the slightest scratch. – Take pictures as evidence. – Also be sure to read your contract to learn the exclusions of the insurance and any additional costs. 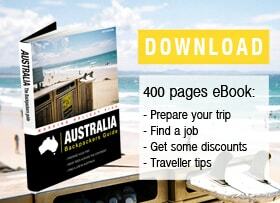 – If you are leaving from a big city such as Sydney, Melbourne or Brisbane, find out about the toll roads. In Australia, you pay for tolls online or by phone. It’s best to avoid them if you can.